2013. Oh man, what a year. The twins were born on January 9th, so pretty much the entire year was spent in survival mode. Over the past few months, I've felt like I made it to the other side... with only minimal permanent damage ;-) It's been a really crazy, hectic, trying, and exhausting year, but without a doubt, it's also been the most rewarding. It should come as no surprise that my blog was on the back burner this year. I didn't post very often, and I'm okay with that. But I'm starting to get my groove back a bit both in the kitchen and behind the computer, so I have lots to share with you guys in the coming year: recipes, tutorials, and what I hope will be a useful series for many of you with kids. Thanks so much for sticking with me this year, and I hope you all enjoy a festive end to 2013. Without further adieu, here are the most popular posts of this year. I only just posted this in December, but Skillet-Baked Ziti quickly became the top recipe of the year. It's easy, fast, and so so delicious. 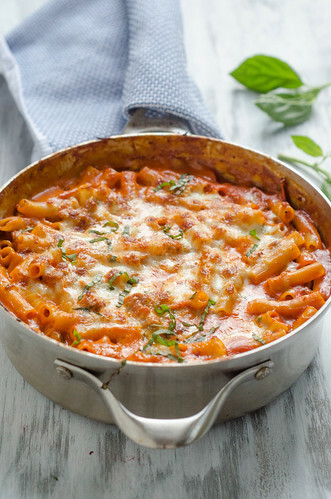 Baked ziti in under an hour? You can't beat that. 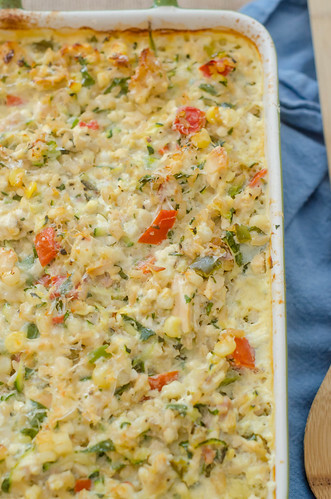 Chicken & Summer Vegetable Rice Casserole was another instant favorite. It's easy, relatively healthy, cheesy, and full of summer's best produce. What else could you ask for? 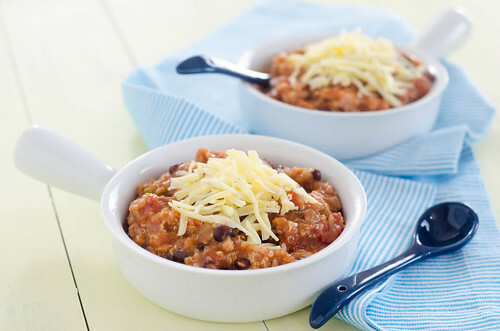 Quinoa Chicken Chili in the crock pot was one of the first meals I made after we brought the twins home. It was a huge hit with all of us, and it fed us for days. Win win. 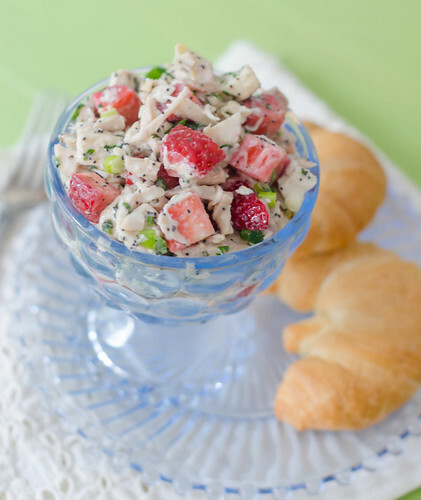 Oh man, this Strawberry Poppyseed Chicken Salad makes me yearn for spring like you wouldn't believe. This was by far one of the best things I made this year, and I know exactly what I'll be making with the first strawberries of the season. 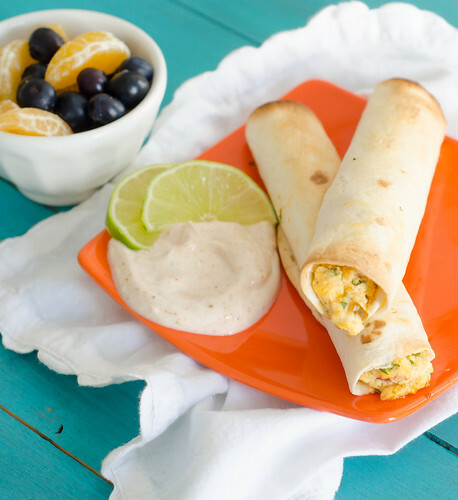 These Baked Breakfast Taquitos were another instant classic around here. It's been a while since I've made a batch, and that needs to be remedied, stat! Strawberries. Margaritas. Cupcakes. Need I say more? 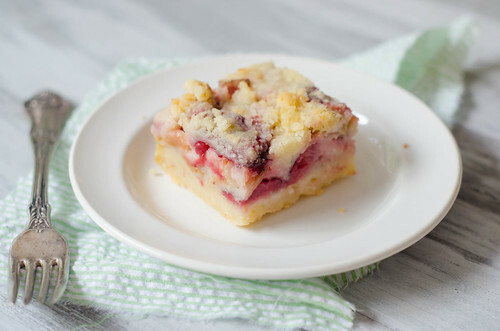 This was apparently the year of the strawberry, and combining them with rhubarb to make strawberry-rhubarb pie bars was a great decision. You guys seemed to agree. This Foil-Baked Lemon-Garlic Shrimp with Asparagus was a spinoff of another popular recipe around here, the foil-baked fish with black beans and corn. 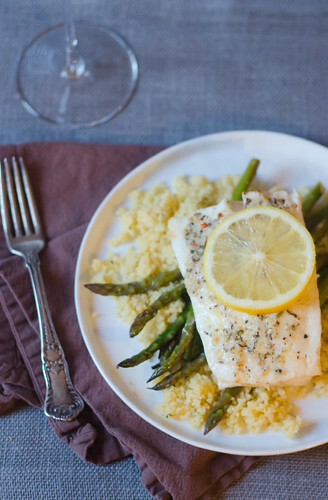 I loved this variation, using plenty of lemon and fresh garlic; and serving it over asparagus made it such an easy and low-maintenance meal. 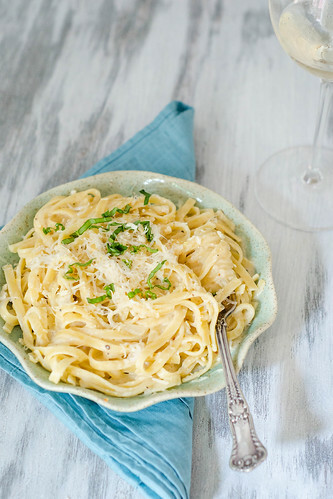 Easy one-pot meals were in heavy rotation this year, and this creamy one-pot lemon pasta was a great one. It was embarrassingly easy, comforting, and yet somehow still elegant. mmmm. 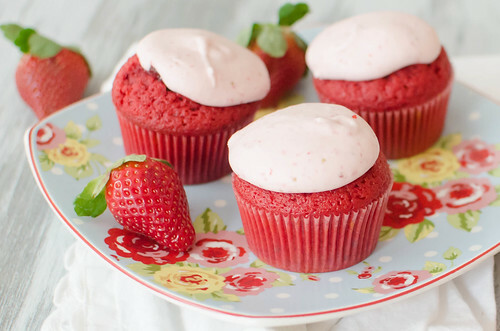 Strawberries + Red Velvet Cake. These cupcakes elevated red velvet to another level. I have a huge weakness for brownies, and this year I finally found the perfect recipe. 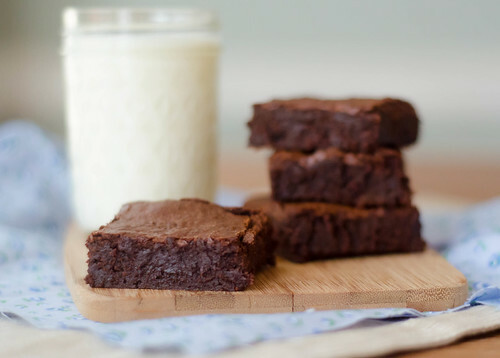 The Baked Brownie is impossibly chewy, chocolatey and just... perfect. 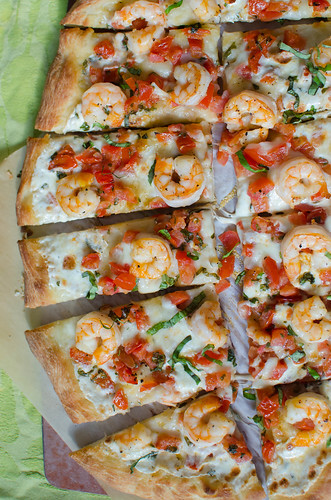 I made this shrimp caprese pizza countless times this summer, and it never got old. Shrimp on a pizza was a new concept for me, and it's one I'll definitely be exploring further in 2014. This Chicken Enchilada Quinoa Bake combined a few of my favorite things, and resulted in an awesome and healthy casserole. Winner all-around! Thanks for reading, and I'll be back tomorrow with some personal favorites. If there's anyone who does the healthy casserole well, it's you! I'm so glad so many of them made the list!! Who doesn't love a good one-pot meal!? 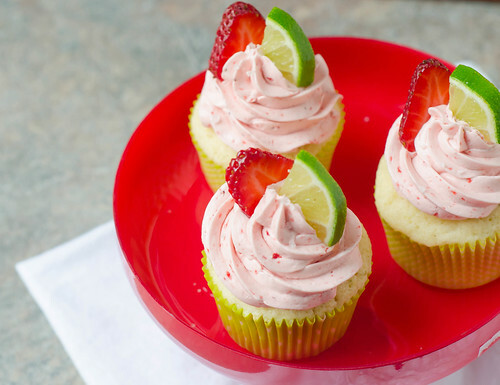 Those strawberry margarita cupcakes were one of the most popular on my blog, too. 2013 was an awesome year for you, Josie! I have 5 month old twins (and no other kids) and I can't believe that you can blog at all! Thank you for the Spanish Chicken Stew recipe -- it's probably accounted for about a quarter of my home-cooked meals since I found it.